Need Volunteer Hours for Grad Trans? 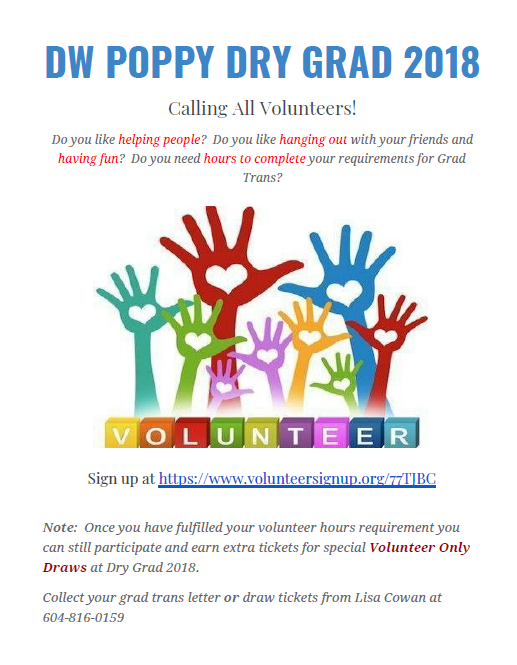 Grade 12 students needing volunteer hours for Grad Trans can volunteer to help out with Dry Grad Activities. See the attached poster.